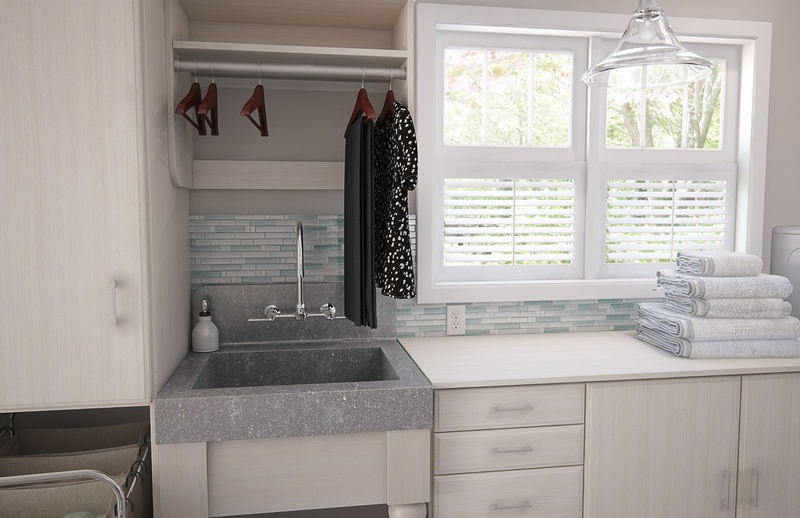 Open shelves, cabinets, and drawers make the most of vertical storage space in the laundry room. Add a hanging rod for freshly laundered items or drip-drying your delicate garments. Rods and shelves are custom-cut to fit your space and can be easily moved up or down, adding flexibility to your storage system.